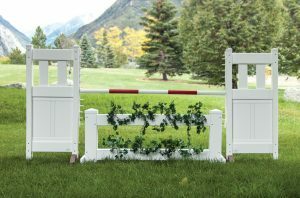 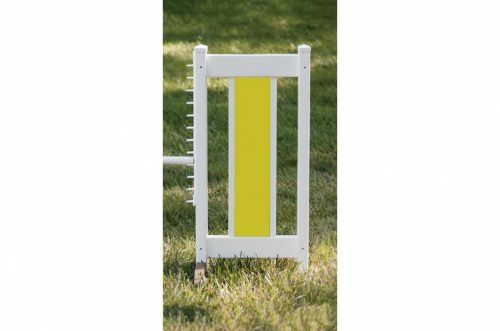 This beautiful Color Panel Jump with Lattice Gate comes with everything you see. 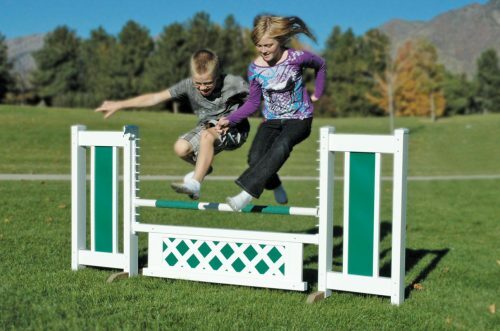 This complete jump is made for kids and adults and is the perfect addition to the playground or any special events. 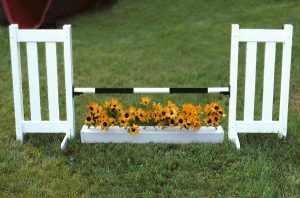 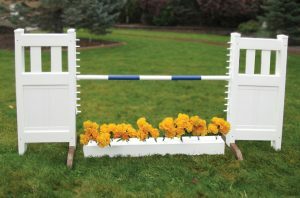 Each jump is easy to set up, just attach the feet to the jump standards and you’re ready to go. 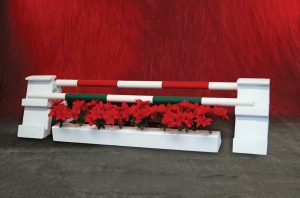 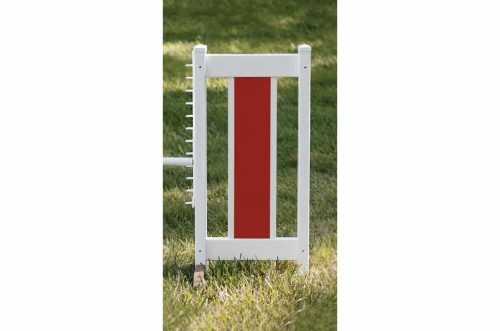 The 48″ pole creates an 84″ jump size.